It makes sense that there’d be a market for alternative dental care and cure tooth decay and gum disease. Going to the dentist to get your teeth drilled can be a nerve-wracking experience. 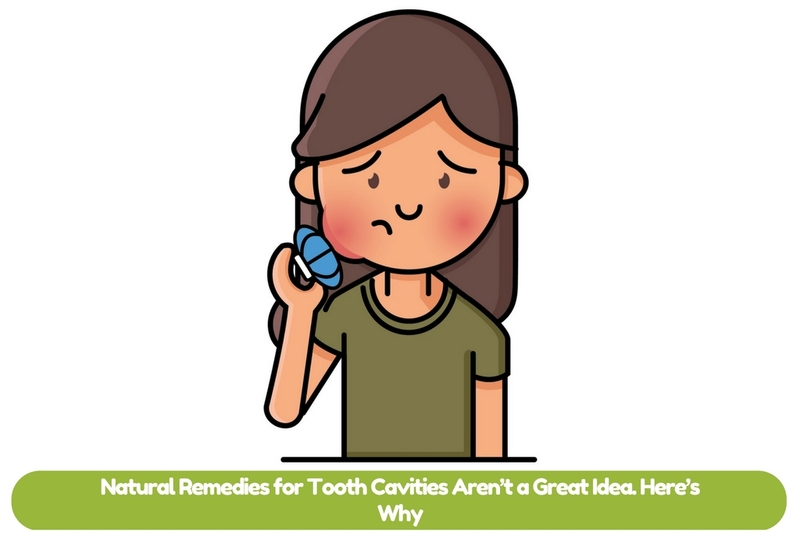 Unfortunately, though, natural treatments haven’t been shown to actually work for treating your cavities. Failing to seek proper treatment for a cavity can lead to much more serious issues down the road. Don’t fall victim to misleading marketing and dubious claims. There are a lot of people out there who use false information and dishonest claims to market all-natural solutions to serious health issues. These people take advantage of our skepticism and give us information that we want to hear. Who wouldn’t prefer to take a vitamin pill to “cure” a cavity as an alternative to sitting in a dentist’s chair? It’s a pretty easy sell. The problem with this is that the people selling these all-natural remedies are usually more concerned with making money than finding the best way to treat dental health issues. Dentists go to school for years and spend a lot of time up close and personal with all kinds of dental problems. In days gone by, everything from coconut oil and bake soda to clove oil and cod liver oil has been proclaimed as a natural way of curing tooth decay, tooth cavities, and general oral health. However, natural remedy purveyors likely have little to no medical training and they probably sell a whole range of other products, indicating that they really don’t have any special knowledge in dentistry that you yourself couldn’t learn on your own. You’re not getting information from an expert source when you buy these products. Many natural cavity treatments claim to “cure” cavities by remineralizing the teeth. This is essentially a nonsense claim. 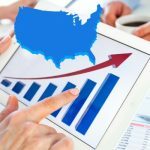 Is remineralization possible? Yes. Research from prestigious institutions confirms this fact, but this research focuses on the use of all-natural minerals such as fluoride, which many alternative medicine marketers have branded as an evil substance. And the traditional drill-and-fill method of treating cavities isn’t necessarily the only way forward. Some researchers are having success with cavity intervention based on antibacterial treatment. New studies are finding that cavities are mostly caused by bacteria, not oral hygiene habits, and that means cavities may be treatable through non-invasive means. This is encouraging news and it does indicate that there are some potential avenues for cavity treatment that don’t involve drilling. But these studies aren’t focusing on the various pills and potions being pushed by clever salespeople who prey on your anxiety and have no incentive to provide you with a viable solution to your dental care issues. 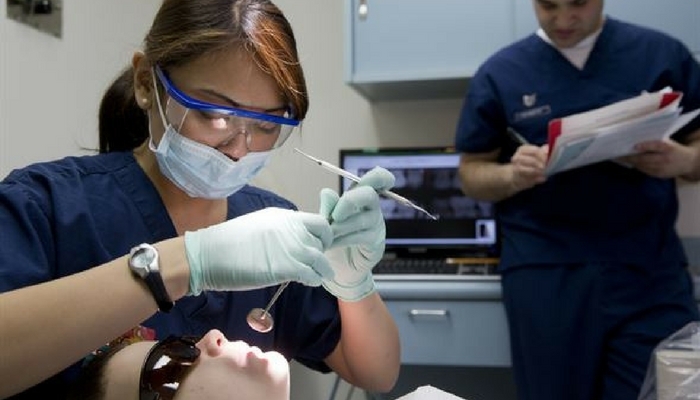 Dentists have their professional licenses and livelihoods on the line. A person who sells “cavity cure” pills does not. Herbs and other ingredients included in all-natural cavity treatments haven’t been shown to have any positive effect in research. There’s a reason that scientific research works the way it does. When done properly, a scientific study will look at a large group of people and draw conclusions from those observations. One person giving a testimonial that a natural supplement cured their cavities may sound promising, but that’s not reliable information. Any one person can make any claim and it’s not necessarily a good idea to believe that just because it sounds good. Scientific research looks at multiple cases because it’s hard to predict what’s actually going on when a treatment is said to work for one person. Plus, if these all-natural remedies worked as miraculously as salespeople say they do, wouldn’t dentists be promoting them in their own practices? Dentists have the benefit of expert authority, and they’d be able to sell these products much more effectively than all-natural marketing wizards do. Salespeople concerned with selling all-natural products often rely on conspiracy fears to convince people that their products are the better choice. But if dentists are part of a grand conspiracy designed to expand their bank accounts, they’d sell all-natural treatments and incorporate them into their practices. After all, there’s clearly a market for these products. There’s a reason that dentists don’t do this. Natural cavity treatments don’t actually work. 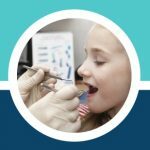 Cavity treatment is about more than just stopping your pain. 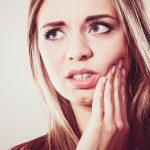 It can indeed be quite painful to have a cavity, and that’s actually part of the reason why you need to go see a dentist rather than trying to solve the problem on your own. It’s impossible to properly diagnose a cavity without dental X-rays. So, if you’re experiencing tooth pain and you assume it’s a cavity, you might be wrong. It could be a much more serious issue or something common but still worth checking out, like an impacted wisdom tooth. Untreated cavities can also get so serious that they cause major tooth decay or bore a hole right into the interior of your tooth. Either of these issues can lead to infections. 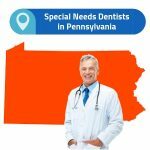 You may already have a cavity that’s so bad it exposes the inside of your teeth and there’s no way of knowing for sure without seeking professional dental help. Going for a DIY all-natural cavity treatment is simply not a good idea. You could miss out on something bigger. You could end up wasting your money on something that doesn’t work. You could be misunderstanding what’s wrong in the first place. On top of all that, many natural treatments are sold without any sort of oversight, and there’s often no way to tell whether the ingredients the seller claims to include are actually what you’re getting. It’s noble to want to do the best you can for your health, but unfortunately, all-natural isn’t always what it’s cracked up to be. Go to a dentist for your cavity treatment. You know it will work well, and it’ll give you peace of mind you can’t get from a bottle of herbs.